Here, at last, is a fresh, new way to think about Jewish food. In The Seasonal Jewish Kitchen (Sterling Epicure), Amelia Saltsman takes us far beyond deli meats and kugel to a universally appealing world of diverse flavors ideal for modern meals. Inspired by the farm-to-table movement, her 150 recipes offer a refreshingly different take on traditional and contemporary Jewish cooking. Amelia traces the delicious thread of Jewish cuisine from its ancient roots to today’s focus on seasonality and sustainability. She draws on her own rich food history to bring you a warmly personal cookbook filled with soul-satisfying spins on beloved classics and bold new dishes. From her Iraqi grandmother’s kitchri–red lentils melted into rice with garlic slow-cooked to sweetness—to four-ingredient Golden Borscht with Buttermilk and Fresh Ginger and vibrant Blood Orange and Olive Oil Polenta Upside-Down Cake, Amelia’s melting-pot approach will win over a new generation of cooks. Click here for the recipe list. Guided by the Jewish calendar, Amelia divides the book into six micro-seasons that highlight the deep connection of Jewish traditions to the year’s cycles. Today’s sustainability and gleaning projects are founded in the agricultural and social justice lessons of the Bible, and it’s no coincidence that holiday foods are seasons- based—the spring herbs of Passover, for instance, or the autumn pomegranates and apples of Rosh Hashanah. Whether you’re Jewish or not, observant or not, Ashkenazic or Sephardic, this yearlong culinary journey through the Diaspora will have you saying, “This is Jewish food? Who knew?” Want to learn more? Amelia answers 5 questions about The Seasonal Jewish Kitchen. Already in its second printing, The Seasonal Jewish Kitchen is one of The Washington Post’s Highly Recommended Cookbooks of 2015; an NPR Here & Now 2015 Favorite; one of Zester Daily’s Top 5 Jewish Cookbooks; LA Weekly’s 10 LA Cookbooks for Foodies; a 2015 KCRW Cookbook Club selection; and received a starred review in Library Journal. The book is consistently an Amazon #1 bestseller in its category. Writer, teacher, and author of The Seasonal Jewish Kitchen: A Fresh Take on Tradition and the award-winning The Santa Monica Farmers’ Market Cookbook: Seasonal Foods, Simple Recipes, and Stories from the Market and Farm, Amelia Saltsman is passionate about helping everyday cooks make the connection between small-farmed foods and real-life meals. In her warm style, Amelia streamlines today’s desire for healthier, sustainable foods; the need to get dinner on the table; and the longing for rich holiday traditions into one seamless whole. Amelia’s name is synonymous with intuitive, seasonal cooking, and as the Los Angeles-born daughter of a Romanian mother and Iraqi father who were raised in Israel, her food reflects the bold, diverse flavors of her eclectic background. 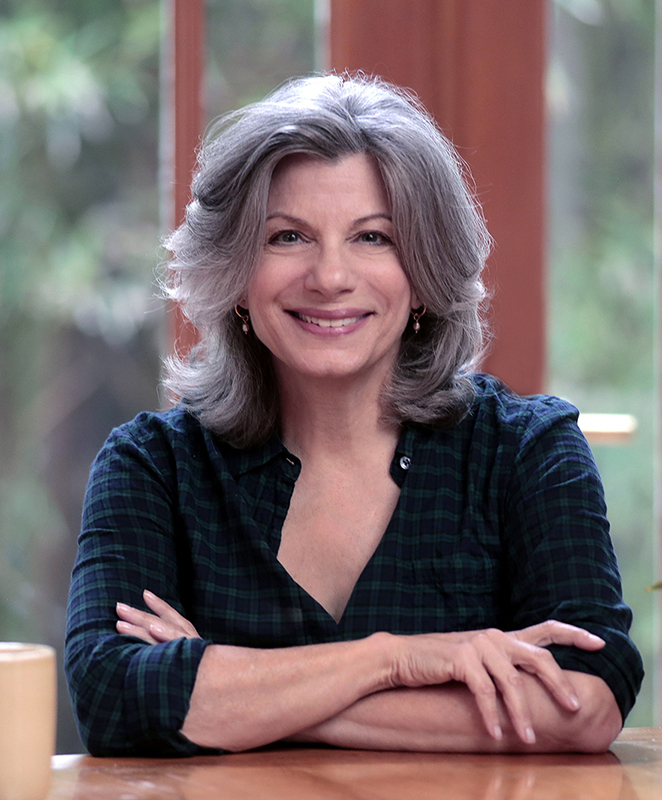 Amelia’s books have made numerous “best” lists, including The Washington Post, Cooking Light, and KCRW’s Good Food, and she has been featured in such diverse outlets as Parade Magazine, Yahoo! Food, Food52, Fit Pregnancy, Vegetarian Times, US Airways, USA Today, Jewish Chronicle of London, The Jerusalem Post, and Los Angeles magazine. Her work has appeared in Bon Appétit, Los Angeles Times, Boston Globe, The Kitchn, Cooking Light, Huffington Post, Jewish Journal, National Geographic Traveler, and more. Amelia is a frequent guest on KCRW’s Good Food and has appeared on Good Day L.A. Known as an energetic and inspiring teacher, she teaches at such venues as Google’s corporate offices and Rancho La Puerta. She’s captured a world of Jewish food through the lens of her diverse family traditions and her own intuitive cooking style, and the result is food that we want to eat now—fresh and modern yet somehow still authentic and comforting. The recipes are approachable, unique, and weave seamlessly into any kitchen, and the stories are deeply personal and relatable no matter what your background. 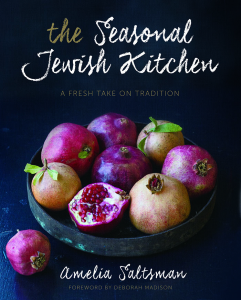 With “The Seasonal Jewish Kitchen,” Amelia draws us into her culture with the warmest open arms, and the most alluring aromas. Her seasonally based Jewish cookbook makes the old new again … In her world, recipes are not simply meals — they’re family heirlooms. And cooking them conjures nothing less than life itself. It’s as if the canon of cultural Jewish cooking has been waiting for her informed infusion of vivid seasonal ingredients. “The Seasonal Jewish Kitchen” is the book that could make anyone fall in love with Jewish food. Almost every page makes me want to rush to the kitchen and start making her recipes.